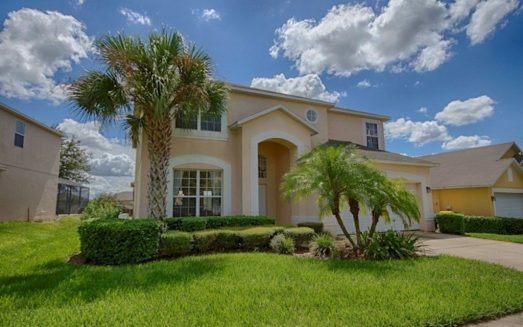 Book now Kissimmee Vacation Rentals with our luxurious family villa. 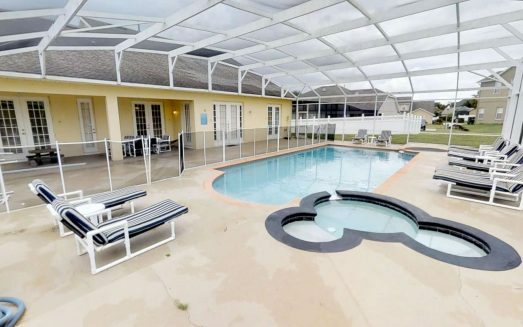 This Windsor Palms private pool home comfortably sleeps 10 people. With 2 master suites and 2 twin rooms you will have plenty of room for your family and guests to relax and enjoy your vacation. The kitchen is fully equipped with all of the comforts of home. The utility room has a washer and dryer ironing board & iron. If you’re traveling with small children this home is perfect for you, baby items like a high chair, cot/crib, baby monitor & stroller are included. You can feel at ease having all of the pool doors alarmed so the little ones can’t sneak out on the lanai. Enjoy a tasty bbq on the gas grill poolside, or take a dip in the heated pool. The location of the home is within walking distance of the clubhouse where you can, take in a movie in the 58 seat movie theater, or work out in the fitness center. The ping pong table and pool table will provide amusement for all and if you forgot something at home you can pick it up in sundry shop. 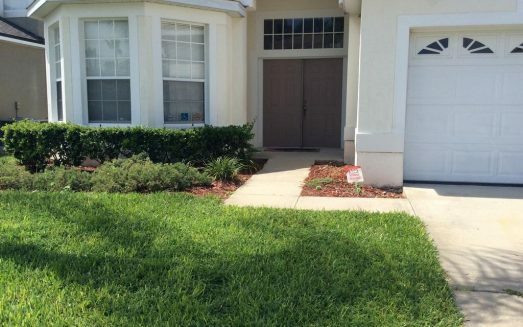 The Windsor Hills Resort is in a desirable location just 3 miles from Disney and close to shops and restaurants. For the avid golfer there is a golf course adjacent to the Windsor Palms resort. If you have any questions about this home please contact us today. Best Nelson Vacation Rentals British Columbia – The Purcell Suite!